Fabulous Gift Guide for November! Citrine is the official birthstone for November, a rare form of quartz that ranges in colour from light yellow to dark amber. This beautiful gemstone is known as the “Merchants stone” as it is believed to bring prosperity and success to its bearer and is associated to values of hope, youth and health! This warm coloured stone is thought to enhance self esteem, optimism, creativity and clarity, making it the perfect stone for the cold winter days ahead! Thomas Sabo’s Freshwater Pearl bracelet is stunning featuring a lovely yellow Citrine Charm. It has an adjustable love knot from 16.5cm to 22cm for a versatile fit that will fit most wrists, making a beautiful gift for a birthday this month! Add to a ring stack with Spinning’s Yellow Citrine ring (£49). This Sterling Silver ring is eye catching with a rhombus yellow cubic zirconia stone, making it the ideal piece to add some colour! 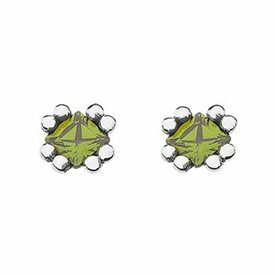 Spinning have just released matching stud earrings (£35) to accompany their birthstone rings, making the perfect set! Those born between 24 October – 21 November are born with the zodiac sign Scorpio, whilst people born between 22 November – 21 December are born with the zodiac sign Sagittarius! Add a personal edge to a birthday gift with a gorgeous piece of jewellery associated to a zodiac sign. Pandora, Thomas Sabo and Nomination have a variety of charms celebrating Zodiac signs. Why not combine a birthstone and a zodiac charm on a charm bracelet from Thomas Sabo and Pandora, or on a Nomination starter bracelet for a truly special gift for a birthday this month! Join the list of celebrities wearing Daisy Jewellery this season! From the trendy Chakra bracelets to the new Alpha collection (often featured in Vogue and Elle! ), you can’t go wrong with Daisy! 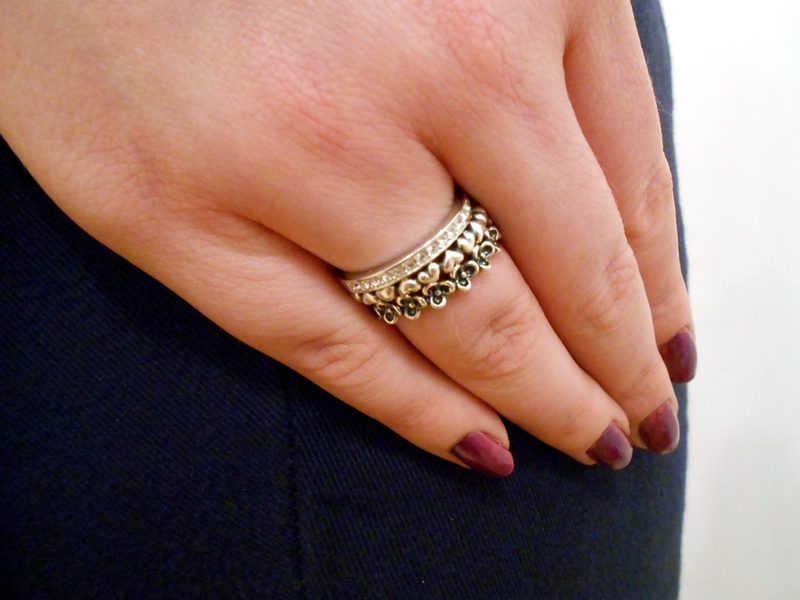 Their new Alpha Rings (£37) are fun and stylish and the ideal way to be creative! Made from 24ct Gold and Sterling Silver these rings look fabulous stacked together to mark initials or to spell out a sweet message for someone special! ChloBo’s collections just get better and better (and frequently spotted on the likes of The Saturdays, Cheryl Cole and BBC Breakfast presenters!) and here at fabulous we are eagerly awaiting the arrival of the new Wish Collection! Due in store this week (!! ), this collection features beautiful Sterling Silver pieces with engravings such as ‘Wish’, ‘Angel’ and ‘Believe’. We still absolutely love the edgy After Dark collection which has been a huge hit this season in sparkling Pyrite and Hematite stones, whilst the popular Cute Charm Mini Angel bracelet (£45) in Sterling Silver is perfect for the Christmas season! Tresor Paris has beautiful sets of stud earrings and bracelets that sparkle in a multitude of colours! 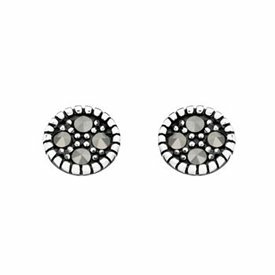 Their studs come in two different sizes, 6mm (£11) and 8mm (£14) that sparkle brilliantly – the only difficulty is choosing which colour you like the best! For him or for her, we’ve got the perfect watch collection at fabulous! 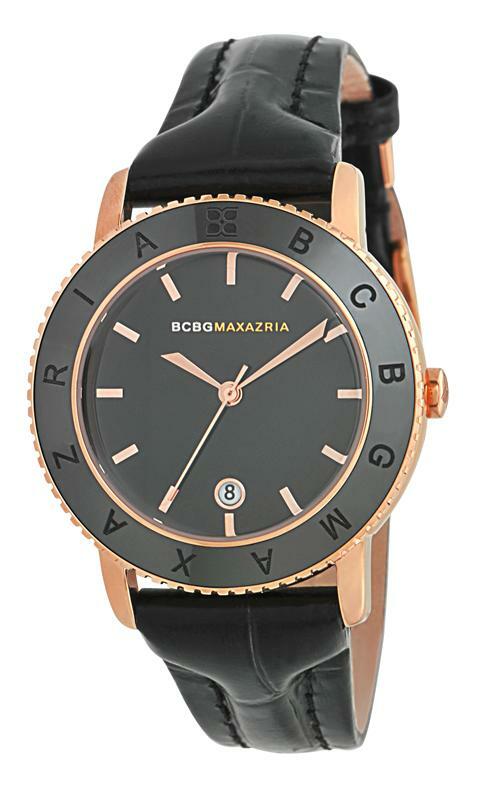 Set the trend in the office with a gorgeous watch from Radley, or make a statement with a stylish watch from fashion house BCBG Max Azria! We are truly in love with their Rose Gold watches this season! For a stylish suit watch for him, Calvin Klein and Bering have a collection of classic pieces suitable for every day wear, whilst the skeleton watches from Toy Watch are truly original! Stunning pieces from Spinning’s Autumn/Winter 2012 Collection are now in store at fabulous, alongside our other favourite jewels from this Danish brand. Spinning Jewellery was founded in 1985 in Denmark with the vision of creating genuine jewellery with an edge of personality for all types of fashion-conscious women. The collection of stacking rings in particular achieves this with diverse designs at affordable prices that bring individuality and a bespoke feel to ring design. The collections allow you to create a personal style with mix and match rings which can be worn alone or stacked together for a truly customised look that is unique to you and perfect for any occasion. The Autumn/Winter 2012 collection is ‘simple beauty with ethnic inspiration’. With the design themes of ‘peaceful’ and ‘refined’, the collection embraces classic jewellery with an edge of ethno chic. Flowers and hearts keep the jewellery classic and romantic, whilst inspiration taken from the Middle East has incorporated half moons and black enamel into their designs, and they are truly stunning! 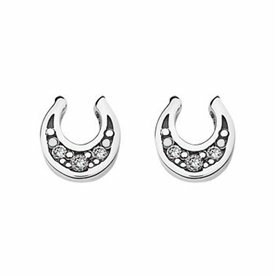 Spinning also offer matching earrings to team with the rings which make an ideal set and perfect gift! Affordable and versatile jewellery from Spinning makes this a designer to collect! Visit our stores or website for our complete Spinning collection, prices range from £19 – £59.00. Opal is the official birthstone for the month of October and is considered one of the most beautiful of all semi-precious stones thanks to it’s glistening rainbow colours that shine from within the stone. Historically, the Opal was worn for protection and to ward of evil, whereby it was highly regarded for its healing properties. This beautiful gem is regarded as a symbol of hope, purity and faithfulness, making this stone a truly romantic gift. 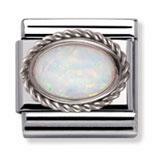 Traditionally, the Opal is also given as a gift to mark a 14th or 18th wedding anniversary. An alternative birthstone for October is Pink Tourmaline, known as the creative ‘Teller Stone’; as it is believed to increase the creative process of its wearer and help distinguish between good and bad. Pink varieties of Tourmaline range in colour from pastel pink to ruby red, a gorgeous and feminine alternative to the classic Opal. 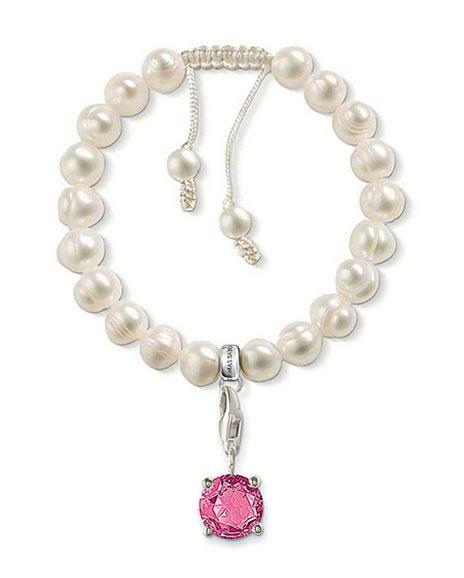 Thomas Sabo’s Freshwater Pearl bracelet is £51.90, and features a gorgeous pink Tourmaline Charm. It has an adjustable love knot from 16.5cm to 22cm for a versatile fit that will fit most wrists, making a beautiful and girly gift for birthdays this month. For jewellery with a more classic look, Nomination’s White Opal with a Sliver Frill charm will add sophistication and vintage style to any Nomination bracelet, whilst the heart shaped White Opal charm is cute and romantic! Spinning jewellery have a large selection of gorgeous Sterling Silver rings that will make a lovely gift this month and feature a stunning pink Tourmaline birthstone ring for £49.00. Another way to add a personal edge to a birthday this month is by acknowledging a zodiac sign. Someone born between the 23rd September and 22nd October is a Libra, whilst someone born between 23rd October and 21st November is a Scorpio. Pandora, Nomination and Thomas Sabo have a variety of charms featuring the Zodiac signs that make a fun addition to any collection. 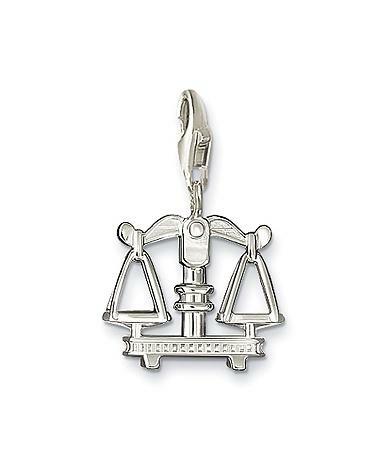 The Sterling Silver Libra charm from Thomas Sabo depicting the scales is £39.95 and would look great alongside the pink birthstone. The new season has brought some fabulous new collections from Lola Rose, Swarovski, Pandora and Pure Attraction to name just a few, all crafted to compliment this seasons winter textures and warm autumn colours from orange and honeys, to soft browns and blacks. Lola Rose’s statement pieces in teal, tangerine and blacks are bright and eye-catching and really capture the autumnal palette, whilst Pandora’s newest collection has taken inspiration from the runway and features stunning pieces from rings to earrings that feature a gorgeous Rhodolite garnet, as well as sparkling Black, Red and Purple Murano Glass Charms for a gothic edge. Rose Gold is the perfect complimentary shade this season which can be seen sparkling in Pure Attraction and is the perfect plating for a statement watch from BCBG and ToyWatch. 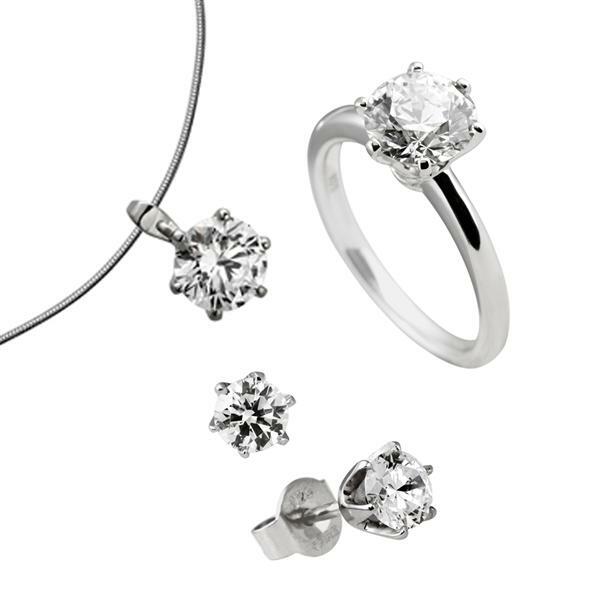 For a romantic gift this month, choose from the sparkling Diamonfire collection that is ‘Inspired by Diamonds’ and features beautiful sets of rings, earrings and necklaces that are an affordable alternative to diamond jewellery. Sphere of Life, Linda Macdonald and Swarovski also offer romantic pieces in Silver and Gold with heart pendants and sentimental messages to help you add a touch of emotion and meaning to your gift. 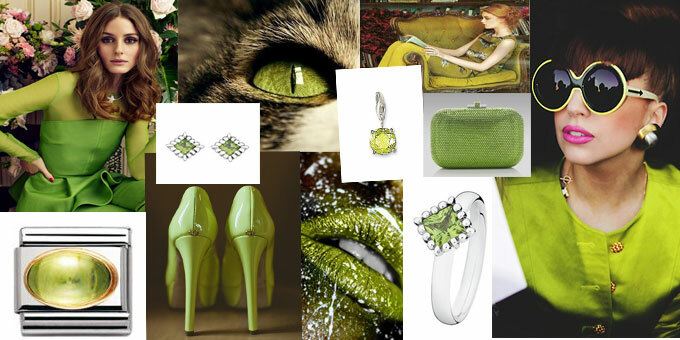 Our style….today the Solihull team show us which designers they are wearing! 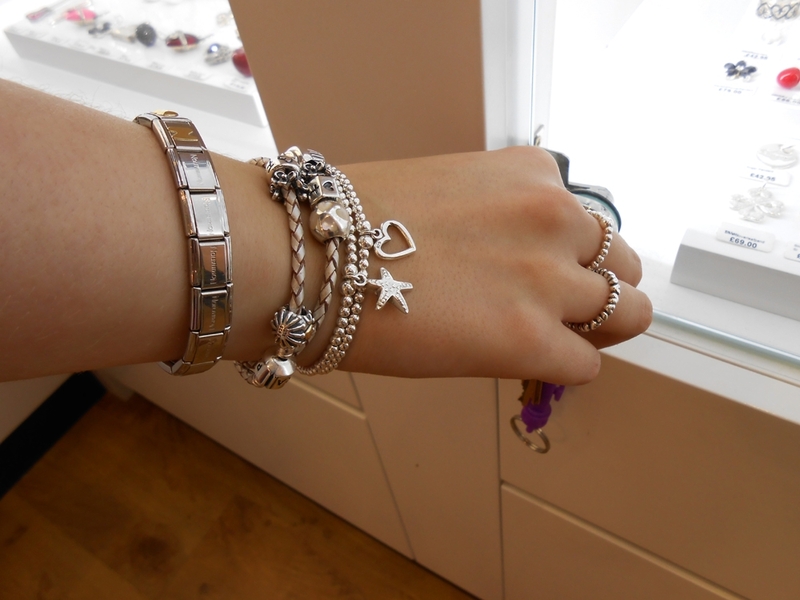 Victoria is rocking her Summer stack which contains her favourite Chlobo, Pandora and Nomination! Victoria’s stack of ChloBo and Nomination and Pandora! Victoria’s stack of ChloBo and Nomination bracelets and Pandora rings! Georgie was undecided as to what to wear this morning so she went for every colour under the sun, and opted for the Tresor Paris Bastille Bracelet! 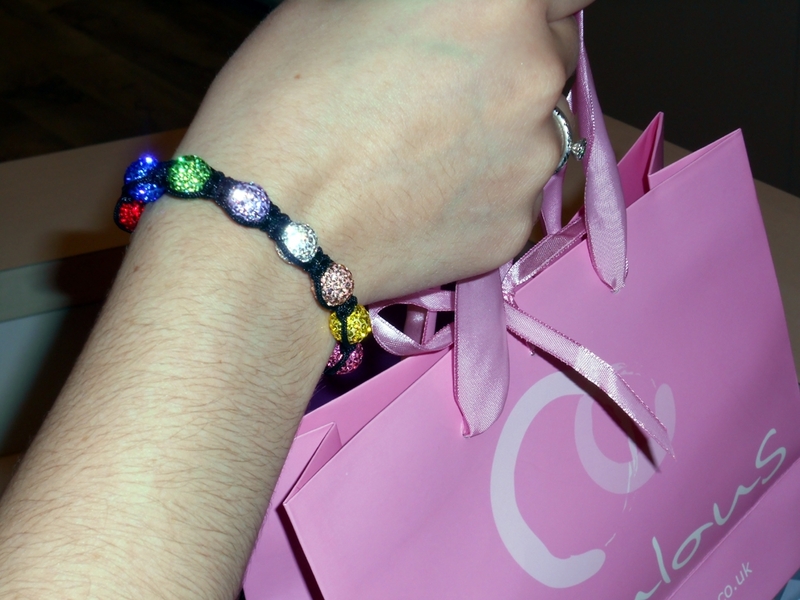 Georgie’s colourful Tresor Paris Bracelet! The sun is out (finally! 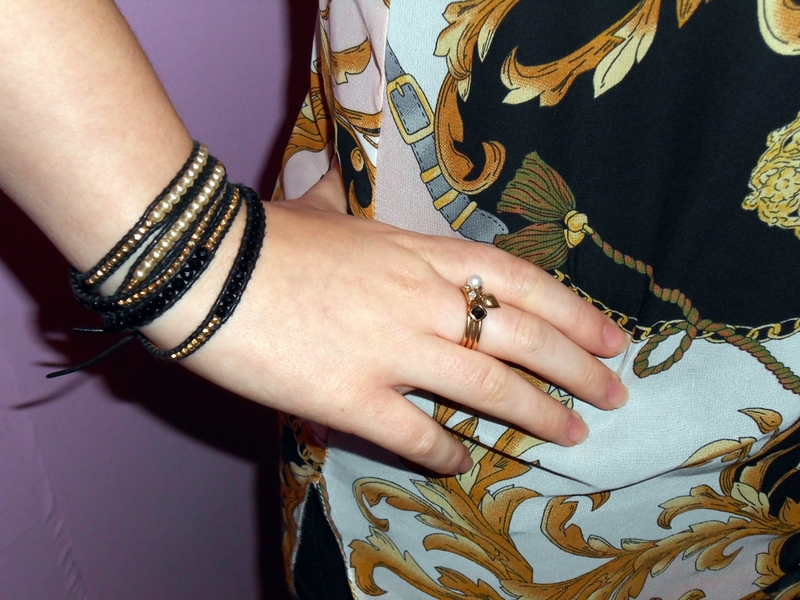 ), so Anna is wearing her favourite Thomas Sabo Anklet and Pandora stackable Rings! 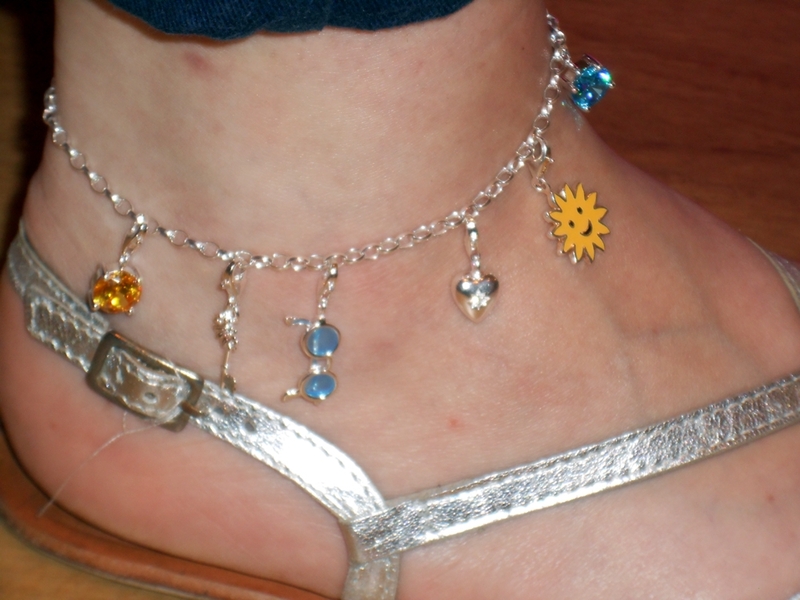 Anna’s Summery Thomas Sabo Anklet! Sinade has gone for the vintage look today with gold jewellery, choosing her Chan Luu Gold and Pearl Mix Bracelet and Gold Spinning Rings! Sinade’s Chan Luu stacking and Spinning Rings!